This is what Peter says about his new work - and you definitely can hear it! 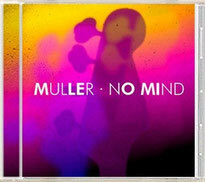 "No Mind" is full of pulsating Funk, meeting with Jazz, Fusion, Soul and R&B. The unique Muller sound in one hot brand new album! Is this mainly a "Bass CD? "Not the right term" says Peter. 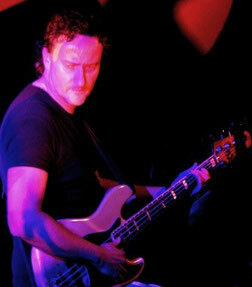 "Of course the bass is really upfront and plays a main role, because it's my instrument . But the tunes are not especially written for bass, they can be played on any instrument. And I'm supported by really awesome musicians!" Peter's suberb and energetic bass playing combined with his writing, arranging and production skills make "No Mind" an outstanding musical and sonic experience. "It was a real intense time, from the first steps of composition and demo recording till the final mastering." The recording phase started when Peter went to Berlin to record his buddy and keyboard player Tobias Neumann. "He brought the right flavour to the material with vintage keys like Fender Rhodes, Wurlitzer Piano, Hohner D6 Clavinet, Hammond B3 Organ and Moog. Tobias knows exactly what my music needs, he has been part of my recording team since my debut album M-Vibez". The next stop was London where Peter meet with the much sought-after musicians Frank Mead (Sax, Flute, Harmonica) and Tim Cansfield (guitars). "Both had played on my previous albums and became an elementary part of the vibe in my arrangements. I'm really lucky and honoured that they played again for me. If your're into funky-jazzy stuff, Frank and Tim are the best guys that can happen to you". Several recording sessions in Germany followed. An exciting new collaboration started with well-known Dutch drummer Sebastiaan Cornelissen. 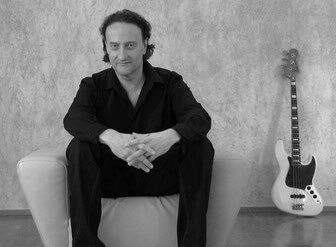 "Sebastiaan was on my wish-list for the album, but as he is such a virtuoso I needed the right composition for his skills. Finally I could compose two tracks that were perfect for him." Peter has a fantastic line-up for his new album with musicians, who all bring their incredible talent to this record. London, UK. Saxes, Flute, Harmonica. Worked with an impressive list of artists, such as Paul McCartney, B.B. King, Al Green - to name a very few. High energy! London, UK. Worked with the Bee Gees, Elton John, Tina Turner and many more. It can't get funkier! Berlin, Germany. Keyboards. Works with german artists Stefan Gwildis and Annett Louisan. Composer, arranger, producer. Bremen, Germany. Drums & Percussion. Worked with Stefan Gwildis, Ian Cussick, Dave Goodman and many more.